Boom! Halfway through the year.. are you achieving what you want in 2018 in business? This has always been a huge part of business, and over time with the advent of social media I think people did get caught up in vanity metrics like page likes, that really had no relevance to their actual business measureables. A year ago, the size of your email list, your Facebook page likes, your Instagram followers, were all something that people were focussed on. The problem was that all of those could be going up up up, and business revenue and profit staying the same or even going down, as people got caught up doing things, that really weren’t helping the actual business numbers. Focus on what actually moves the needle in your business, and in the data we can get now around email, social, and web traffic, we need to focus on engagement. With Facebook page insights, it’s pretty easy. Just go do your insights, and look at your weekly engagement. This is a number reflecting total likes, comments, and shares that week for your posts. With my client list… we aim for at least 1:1 ratio of page likes to engagements for that week. What this means is if the page has 1000 likes, we’d like to see at least 1000 engagements that week. When posts are not really hitting the mark with the ideal client, or the posting hasn’t been frequent, you might see a number like 0.2 – which I class as poor. On the other hand, I met a new client last week who had a ratio of 4.0 – the highest I’ve seen. He had been running contests, a really strong method for engaging people. The next goal for that client is to get those page followers onto his email list. Email engagement is also easy to measure. You mostly look at open rates. Always analyse your email afterwards to see what works and what fails for open rates, and then how many clicks on links are made from within that email too. This isn’t hard data analysis, but it’s a job, so book it in to your weekly job list. 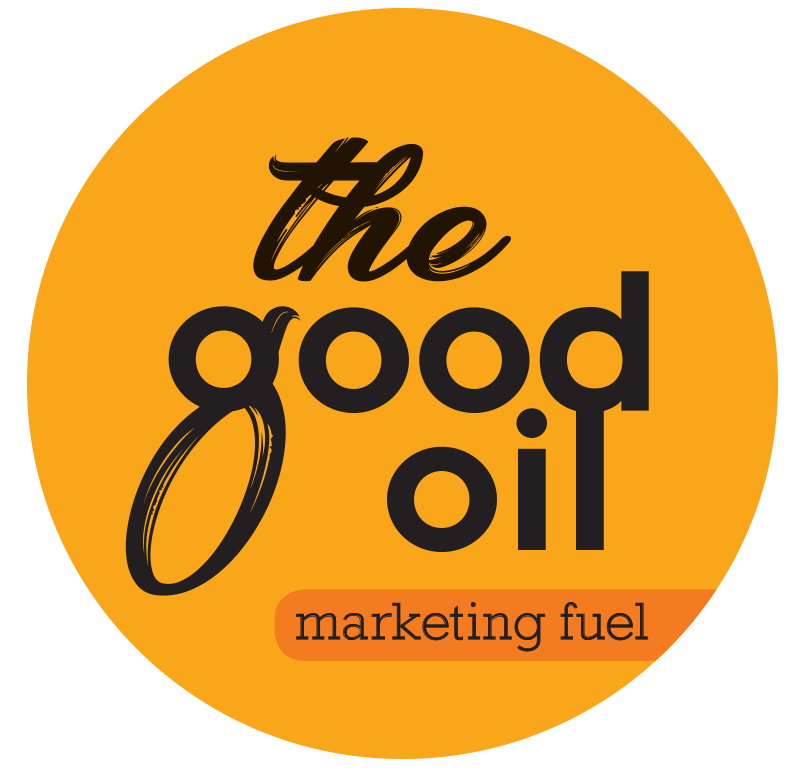 If you like, you can talk to The Good Oil… we are now building visual dashboards for clients so that this data is on hand at all times. We link in the Google Analytics as well… something we all need to watch and obsess over…..
What we’ve noticed this year is that succesful growth companies are paying money for SEO, paying money for Google ads and Facebook ads, and they are communicating with their clients. SEO – you cannot rely on luck to get traffic to your website. Learn as much as you can about Search Engine Optimisation, or even better, pay someone to analyse this for you, and do the work. We have an SEO expert in our team now… feel free to reach out. Paid Traffic – social media and Google work best with some cash… don’t let your competition run away with your traffic…You need to have someone looking at Google Ads as a bare minimum. Communication – email is back!! As social media attention shifts from Facebook to Instagram, and people either stay or go, email stays strong. Building a good email strategy is crucial. It’s a great way to convert prospects to buyers, it’s a great way to grow more revenue from existing clients, and it’s also very measurable. Also in regards to communication…..
Reach out, talk to past clients, stay in touch with suppliers, get talking to people. As digital has taken over, people are this year seeing the value of getting back on the phone. One company I advised recently set a target of reach out phone calls to 3 former clients each day, as part of their standard practice…. just to say hi. It’s working already. People are talking, people are booking back in. How can you build in some phone time? Have you noticed how once you’ve visited a website you seem to see ads for that business all over the place? Both on Google and Facebook. It’s called retargeting and it quite simply works. You can do it yourself, or talk to our team. Sometimes people are looking at your business, but aren’t ready to purchase or move forwards. Retargeting, for us marketing nerds, is pure magic…..
Facebook is going a little backwards, but expect it to recover. Instagram in New Zealand is growing fast, get on it. Get visual. Email – needs to be a focal point. I’m yet to see a business go backwards when focussing on email. Can seem unsexy, but it works. Linkedin – very worthwhile building profiles for key staff to help spread the word. We are social creatures and this year has seen a large surge in Linkedin numbers.. Guest Blogging… can you write content or provide expert help to OTHER businesses that have similar clients lists to your own? This strategy in the blogging world works incredibly well. Use it as part of your content marketing strategy. Build a relationship, demonstrate value, please don’t go for the sale too early! It’s just unsofisticated, and doesn’t work. Yes of course your marketing needs to have calls to action, but this should be “download our checklist” or “have this $10 voucher” or “grab this free ticket to our webinar”. Do the work to show that your business is the go to business in your niche, and when people are ready to buy, they’ll come your way. Do put out great offers and time framed deals from time to time, but generally speaking you should be working hard to brand yourself, build likeability, build trust. Contests are great for building brand awareness. Use them across Facebook and Instagram, try to get people onto your email list to enter if possible. Video is still king on Social media. Just do more video, you can’t go wrong. Less than 3 minutes seems to be the ideal right now. Go old school and form business alliances and see how you can work with another business to promote both brands. Influencers are a thing. People who aren’t ‘famous’, but are very well connected. Focus on Conversion Rates as much as possible. Getting leads is great, but if you can convert more of them into clients, the game of business gets far easier. 2018 is half way through. Are you meeting your targets? Is is time to invest in some outside marketing assistance? Talk to us, we have expertise in house that can help. Our basic package is a long way under $1000 per month, and every client we have is winning this year. We don’t cost you money, we make you money. Have a conversation with us today…..